I’ve discovered there are many Alzheimer’s blogs and websites. They vary a lot but have some things in common. They either tell a story about people’s experience with dementia or Alzheimer’s, or provide information about the disease and resources. Those are truly important things, but this blog does neither. When I began the journal, I had no plans to turn it into a blog or make it public in any other way. I simply wanted a record of our experience. I was motivated to do this because I lived close to my mother who had dementia. My father cared for her, without help, in his home until we brought in hospice. At that time, he was 89. Despite the fact that I was with them a lot, I never fully realized what their experience was like until my wife, Kate, was diagnosed with Alzheimer’s. I wanted our children to have a better grasp of our situation than I did for my parents. I was also motivated to do it as a personal form of therapy should I need it. What I believe is unique about this blog is that it is a detailed chronicle of our lives since Kate’s diagnosis. It is long and detailed, and I am still writing because our story continues. Right now, it consists of almost 700 individual posts starting with the doctor’s telling us Kate has Alzheimer’s, and I am still writing. Did I forget to say that I have an additional 450 or more that are are written but need my editing before posting? I can’t imagine anyone’s reading it in its entirety. The good news is that I have tried to organize it so that you can pick and choose posts by topic (categories) or by date. You might have a personal interest in the diagnosis and how we reacted. That would lead you to the very first entry and, perhaps, the following six months or so. On the other hand, you might have a special interest in a topic like our “Good Times,” our “Trying Times,” “Time with Family,” “Time with Friends,” “Travel” or one of the other categories. In addition, you can do a word search for something in which you have a special interest. There is one other thing I would like to mention. Our journey has been easier than it is for many of you. I read the caregiver forums and know that we have not dealt with the same disruptive things that many others have. In this respect, we are very fortunate. Nonetheless, I am sure you will encounter the experiences that we all have in common. 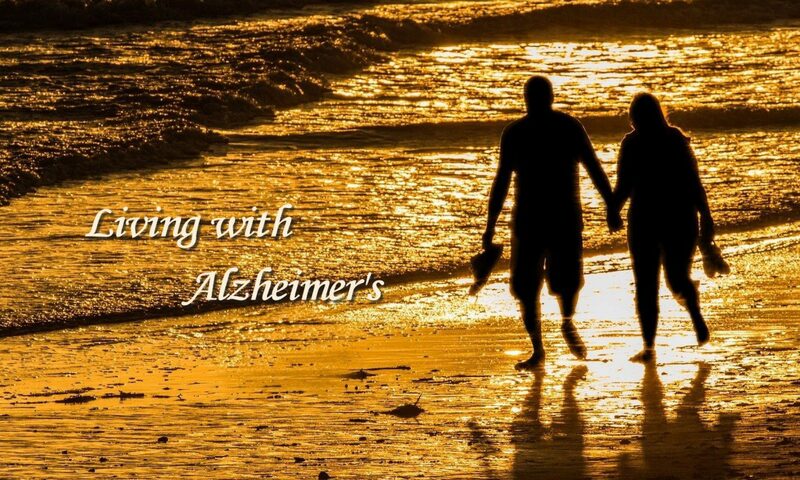 Ultimately, you are the only one who can decide whether “Living with Alzheimer’s” is for you. I hope so. I am also open to comments. If I have neglected a topic in which you are interested, just let me know. If it is something that falls within our experience, I would be happy to address it.